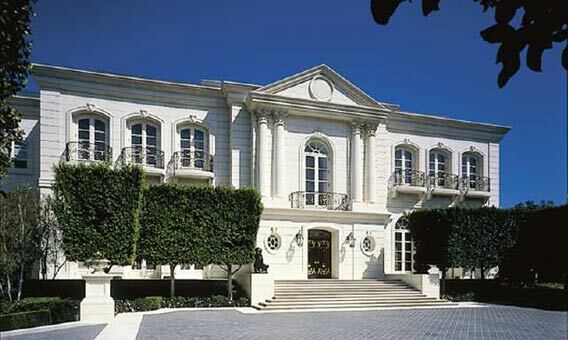 Bel-Air mansion built for Iris Cantor sells for $40 million. The $40-million sale is one of the highest this year in L.A. County. La Belle Vie, the mammoth Bel-Air residence built in 1993 for philanthropist Iris Cantor by her husband, Bernard Gerald Cantor, has sold for $40 million, public records show. The sale is one of the highest this year in Los Angeles County. 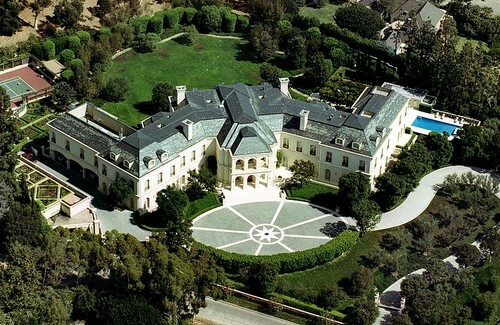 The mansion had been marketed at $53 million since 2009. It was designed to house the Cantors’ extensive art collections. The 35,000 square feet of living space include a three-story entry hall, a formal library, a media room, a gym, a billiards room, a beauty salon, three kitchens, 12 fireplaces, nine bedrooms, 21 bathrooms and a staff wing. The property includes a pool, a tennis court and a 10-car garage. Iris Cantor is chairwoman and president of the Iris and B. Gerald Cantor Foundation, which supports the visual arts and medical, educational and cultural institutions. B. Gerald Cantor, who died in 1996 at 79, cofounded the securities firm Cantor Fitzgerald. 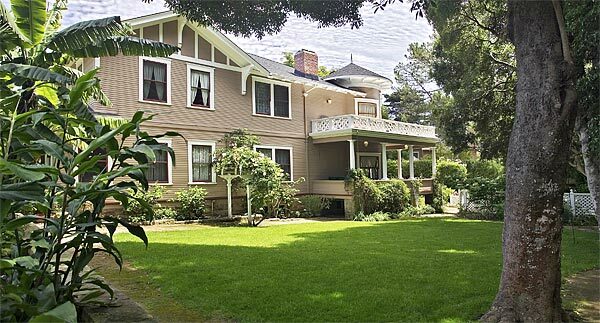 Candy Spelling Reportedly Sells Holmby Hills Estate! The widow of legendary TV producer Aaron Spelling put the 4.7-acre residence up for sale more than two years ago at $150 million. Petra Ecclestone, the daughter of British billionaire and Formula One Chief Executive Bernie Ecclestone, is in escrow to buy the property, a report says. Candy Spelling’s sprawling estate in Holmby Hills, which has bragging rights as the most expensive residential listing in the U.S., reportedly has been sold to a 22-year-old British heiress. Spelling, widow of legendary TV producer Aaron Spelling, put the 4.7-acre residence up for sale more than two years ago at $150 million, and she held firm to that price despite one of the worst real estate downturns in generations. Now, Petra Ecclestone, the daughter of British billionaire and Formula One Chief Executive Bernie Ecclestone, is in escrow to buy the property, according to the Wall Street Journal. The newspaper did not identify anyone confirming the sale, and did not say how much Ecclestone, a sometime fashion designer, is slated to pay for the property. Spelling and her representatives either declined comment or did not return calls from The Times. Known as “The Manor,” the home is the largest in Los Angeles County at 56,500 square feet, or slightly larger than the White House. The home was completed in 1991 and was built to the Spellings’ specifications. Candy Spelling supervised the construction. The mammoth home boasts a bowling alley, a flower-cutting room, a wine cellar/tasting room, a barbershop and a silver storage room with humidity control, among other spaces. Outside is a tennis court, a koi pond, gardens, a citrus orchard and a swimming pool with a pool house. The motor court can accommodate 100 vehicles and there are 16 carports. A service wing houses the staff in five maids’ bedrooms and two butlers’ suites. The house is believed to have more than 100 rooms. Spelling will be moving into a 16,500-square-foot penthouse condo in Century City. She agreed to pay $47 million for the top two floors of a 41-story building in 2008 but subsequently got a price break, closing the deal last year for $35 million. Sales of U.S. previously owned homes rose in March as a mounting supply of properties in or near foreclosure lured investors. Purchases increased 3.7 percent to a 5.1 million annual rate, exceeding the 5 million median forecast of economists surveyed by Bloomberg News, figures from the National Association of Realtors showed today in Washington. All-cash deals accounted for 35 percent of transactions, the most on record, the group said. Unemployment, falling property values and stricter loan rules may push the number of households losing their homes to a record level this year, a sign the market will take time to recover. Even with last month’s gains, housing may remain a weak component in the economic recovery that began in June 2009. Stocks climbed as sales at companies from Intel Corp. to Yahoo! Inc. exceeded estimates and commodity producers gained. The Standard & Poor’s 500 Index rose 1.3 percent to 1,329.69 at 12:37 p.m. in New York. Estimates for March existing home sales ranged from 4.59 million to 5.4 million, according to the median of 74 forecasts in the Bloomberg survey. The share of all-cash transactions is the highest since monthly tracking began in August 2008, Lawrence Yun, chief economist at the Realtors’ association, said at a news conference today in Washington. Yearly figures before 2008 showed the share at about 10 percent, Yun said. Distressed properties, which include foreclosures and short sales, accounted for 40 percent of all deals last month, according to Yun. Purchases by investors climbed to 22 percent of transactions last month, up from 19 percent in February. “This is part of the cleansing process that needs to occur,” Yun said, referring to distressed sales. “Home sales are strongest in the very-low price range” of less than $100,000, he said, reflecting the increase in demand by investors paying in cash. Sales rose in three of four U.S. regions in March, led by an 8.2 percent gain in the South. The West fell 0.8 percent. The median sales price fell 5.9 percent from March 2010 to $159,600 last month as less-expensive properties became a bigger share of the market. Sales of houses priced at $100,000 or less were up 9.6 percent from March 2010, compared with a 6.3 percent drop for the market as a whole, the report showed. The number of previously owned homes for sale climbed to 3.55 million. At the current sales pace, it would take 8.4 months to sell those houses compared with 8.5 at the end of the prior month. Supply in the eight months to nine months range is consistent with stable home prices, the group has said. Federal Reserve officials, in a statement following their March 15 monetary policy meeting, said that while the “economic recovery is on a firmer footing,” residential real estate is still “depressed.” The central-bank committee is scheduled to next meet April 26-27 in Washington. Home prices dropped in the 12 months to January by the most in more than a year, according to the S&P/Case-Shiller index of home values. In 20 cities, prices fell 3.1 percent, the biggest year-over-year decrease since December 2009, the group said March 29. 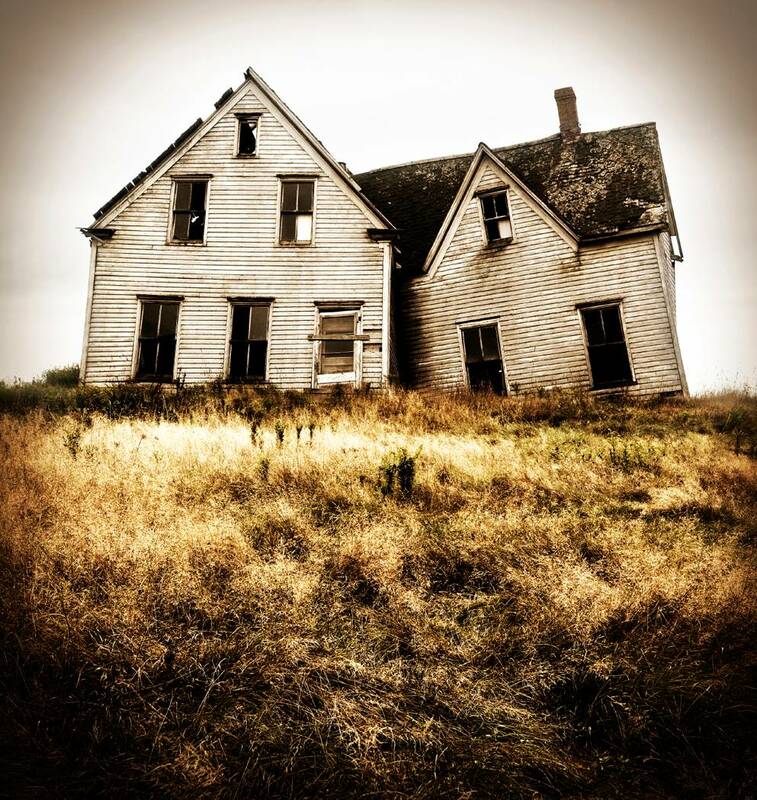 Some underlying home values are less than the mortgages on the properties. CoreLogic Inc. last month estimated that about 1.8 million homes were delinquent or in foreclosure, a so-called “shadow inventory” set to add to the 3.5 million existing homes already on the market. 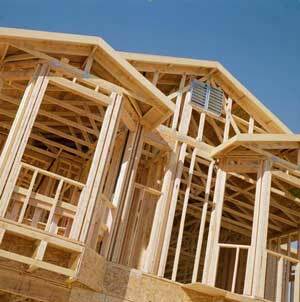 Cheaper homes and distressed properties are making homebuilders pessimistic. Builders overall are not optimistic. The National Association of Home Builders’ confidence fell to 16 this month, according to the group’s gauge released this week. A reading under 50 means a majority of builders view conditions as poor. KB Home, the Los Angeles-based homebuilder that targets first-time buyers, this month reported a bigger-than-expected loss for the quarter ended Feb. 28 as orders plunged. All-cash buyers grabbed a record 30.9% share of California house and condo sales in January. In Southern California’s most expensive communities, cash deals now account for as much as two-thirds of home sales. Cash talks. And it’s speaking loudly in California real estate these days, even in the nicest parts of town. All-cash buyers grabbed a record 30.9% share of the Golden State’s houses and condos in January as low prices lured investors and others, according to San Diego research firm DataQuick Information Systems. Cash activity has been brisk for months in foreclosure-ridden areas such as Riverside and San Bernardino. But now, the cash buyer has become a major player in Southern California’s most expensive communities, where cash deals account for as much as two-thirds of home sales. The trend is being driven by several factors, analysts say, including the difficulty of getting a “jumbo” loan from lenders still stinging from the mortgage meltdown. 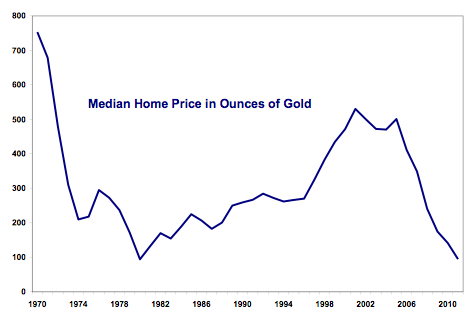 It also reflects speculation by wealthy investors who believe home prices are at or near a bottom. In the Southland’s $1-million-and-up market, 29.2% of buyers paid cash last year — the highest percentage since 1994, DataQuick statistics show. For homes selling for $5 million and up, 62.2% paid cash. Overall, cash deals constituted 27.8% of Southern California home sales in 2010, the most since DataQuick began tracking the market in 1988. It’s also more than double the 13% average for cash sales over the last decade. The shift toward cash purchases started when foreclosures became a significant factor in the market, said Gary Painter, director of research at the USC Lusk Center for Real Estate. That’s because investors buying properties on the courthouse steps don’t go looking for mortgages.